The Stance is a three-phase project that looks at skater culture and the various environments in which skaters congregate. Much of my work explores notions of unconscious expression and the vulnerability of existing within a group or at the margins of a group. 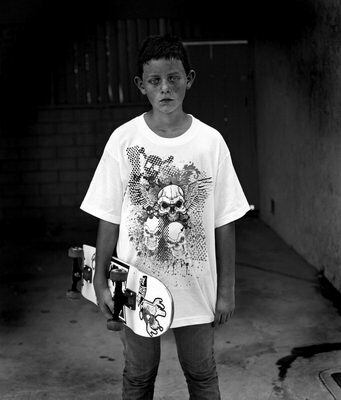 For me, the skater typifies both extremes of this existence. Many skaters speak of a solitary mind space while skating; of zoning into another state of consciousness. To make these portraits, I asked the skaters to place themselves within this meditative space. When our minds begin to wander, we lose touch with our conscious actions. Such states of being can be both revealing and confronting when looking at photographic images of ourselves.